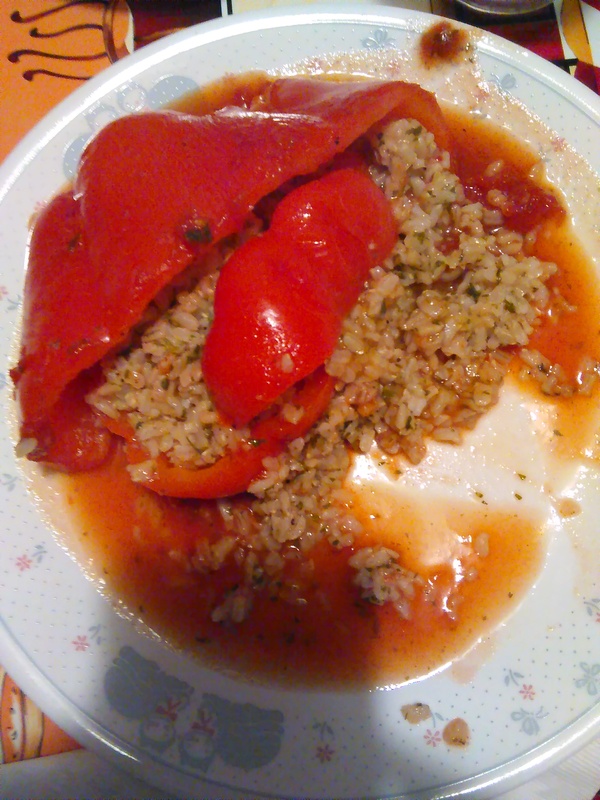 I have been in the mood for stuffed peppers lately. 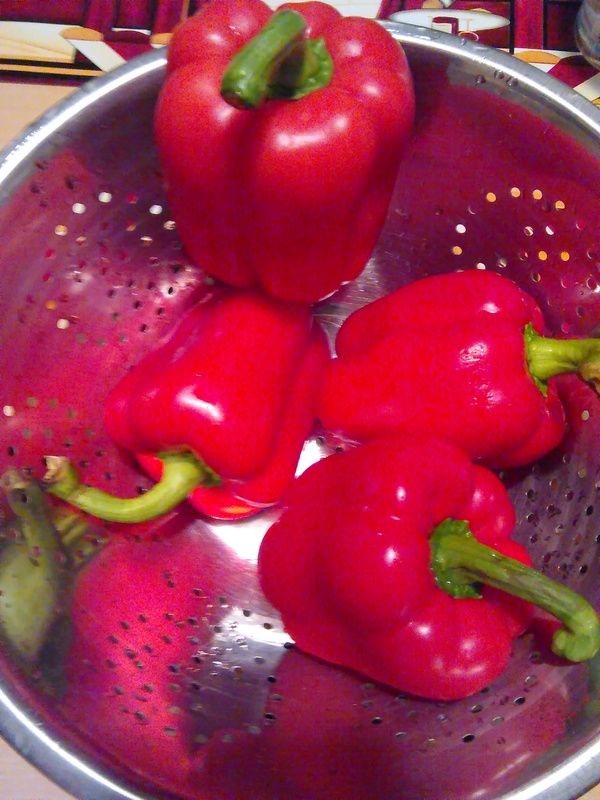 I went to the grocery store and picked up some red and orange peppers to stuff with brown rice. Start with cutting the caps off. 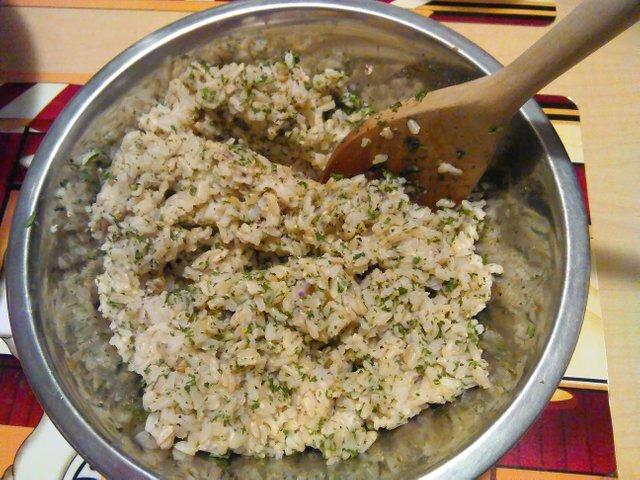 Then mix the brown rice with salt, pepper, parsley, garlic and onion flakes. 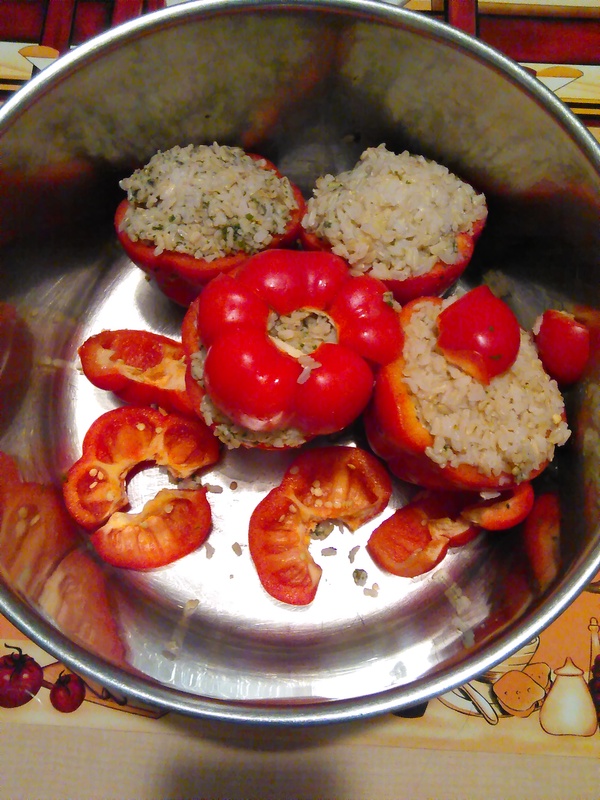 Squeeze the seasoned rice into a tight ball and press into the pepper. 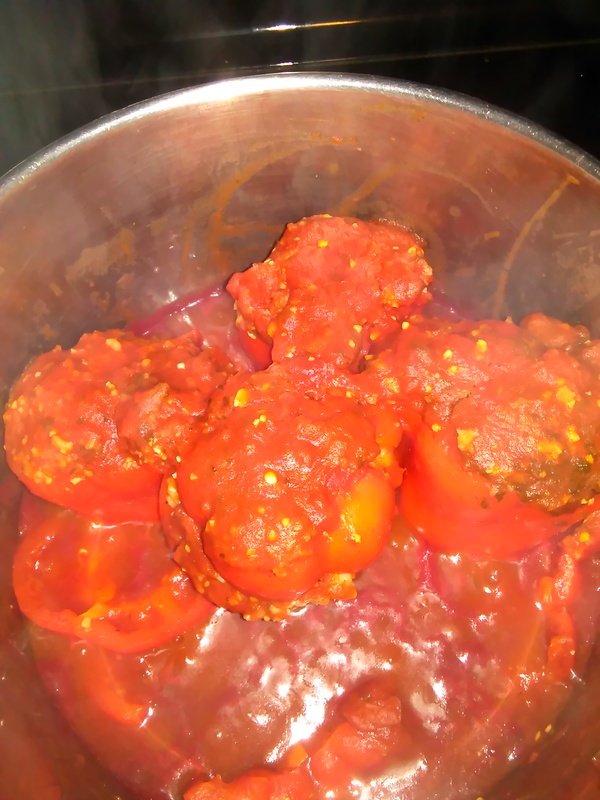 Stand up the peppers in a large pot, and pour on tomato sauce and chunky diced tomatoes. 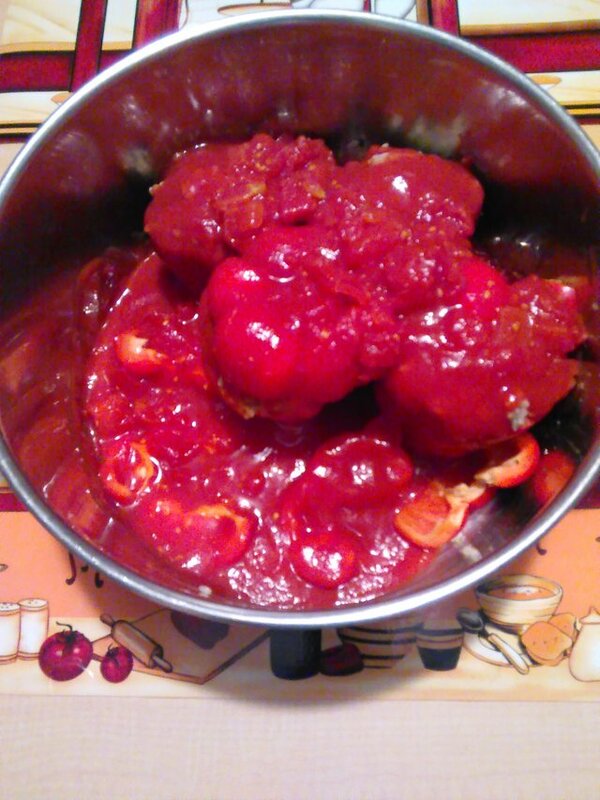 Add pepper, onion and garlic to the sauce and steam for about one hour. 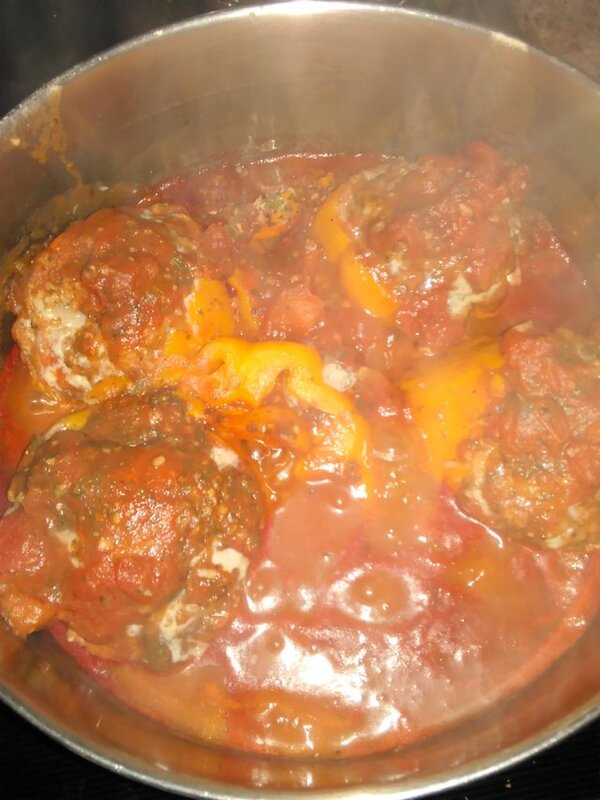 As an option, you can stuff the peppers with your favorite meatball recipe and serve over rice. Serve with a piece of crusty bread and enjoy! It is so delicious that you will clean your plate! It is so good I don't think there will be any leftovers after tonight!